A wonderful music experience for your toddler. 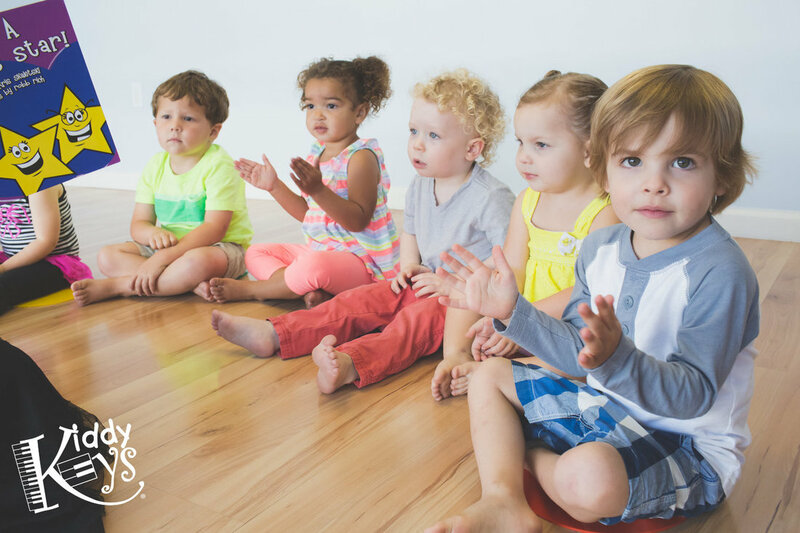 Each 35-minute class features an emphasis on good manners and quality character development, while singing, moving to music, playing with rhythm instruments, piano games, and large-motor activities. A parent participates in each class. Enrollment: is always open -- no need to wait for the next session to begin!